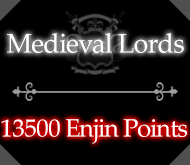 Medieval Lords™ - Home - Enjin - Happy Thanksgiving from MLMC! Thanksgiving is just around the corner (it's already here for some of you), and we here at staff encourage you to take a well-deserved break with your family and friends to be thankful for what you have. When you come back on Friday, it'll be our turn to give thanks to you guys at our community with our Thanksgiving Update! We've got tons of content coming at you, though not all of it may be released in one day. The vast majority will be released when we restart Thursday at midnight. We'll have a short maintenance to make sure everything's working, then we'll release! This one's a long list, so be ready for it! Yes, this one we announced to be done a month ago, but now it's truly ready to be released after multiple changes and balance checks. Special thanks to EternalVigilante for helping us complete this one! We will be including 3 brand new item types in this rework: Axes, Spellswords, and reworked Wands. Axes are a balance between strength and endurance, rather than the direct strength of a sword. Spellswords balance intelligence, strength, and endurance, for when you'd like to have a bit more bite between your spells. Finally, wands have been reworked to have durability. More on this below! On top of having 3 new item types, all items have been made much more consistent in that the # of attributes you get are always within a more contained range, rather than either terrible or god-like. We've also added 2 new tiers between Epic and Legendary: Angelic (in honor of one of our top donators, AngelArm), and Mythic! Angelic is approximately the same as the current legendary tier, while the new legendary tier is now far beyond that, and truly worthy of the title of legendary. Finally, the names of the items have been made more appropriate. 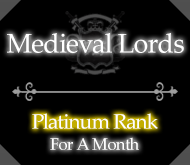 No more getting God-like wooden swords, iron swords that are actually gold, and acid touch with that strange symbol! Durability is getting a small overhaul with some much needed clarity changes. Weapons were rarely breaking, if at all, while armor was breaking too much from bugs that caused durability to plummet. It was agreed that a fresh start was necessary. To help facilitate this, all quest equips (not just armor) will have custom durability. From now on, casting a skill or shooting an arrow reduces the durability of your mainhand (or offhand if you have no main) by 1. Dealing damage via basic attack or skill also reduces durability by 1. Finally, taking damage reduces the durability of any armor or shield by 1. You may only lose 1 durability every second (to prevent losing tons of durability from one sustained-damage attack). Also, the unbreaking enchant now affects durability loss. Each level of unbreaking grants a 5% chance to not lose durability. Finally, a workaround was made so that even if a boss does tons of damage all at once, your armor is guaranteed not to break. This workaround also fixes issues in class pvp where a single skill would take up to 4 durability. A new arena, built by our very own Aralic, will be released in this update. We took care to make this arena have its own niches, and allow players to find different playstyles in the altered environment. We will likely simply connect this arena to the old arena and allow players to choose which arena to use. However, if the issue comes that player usage is too split between the arenas, we could simply rotate them every once in a while. Many of you like to redo bosses for fun, or to grind for indexes and exp. But outside of that, there's not much reason to go kill these bosses, despite them being one of the most unique parts of our server. No longer! Enter boss chests, a drop that is given approximately 25% of the time (meaning usually, at least 1 person will get the boss chest). 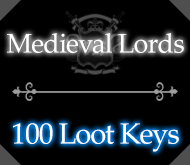 Boss chests guarantee an ample sum of gold, along with some other goodies like equipment, recipes, or even crate keys. Indexes will drop solely from these boss chests (don't worry, we adjusted the chance rates to be about the same as they were before). There will be a portion of boss chests that will remain unreleased until we can polish it up. You can read about that further below! As we surge ever closer to the New Year, it's time for a change of pace. We've got a brand new spawn ready to be released and explored! Return from the Globe of the Golden Citadel to the homely castle of Constantinople! And of course, many of you have been asking for that resource reset, so here it is, coming with a fresh set of holly wilderness quests to be released soon after! This sounds exciting, but for the time being, it's only a small change. 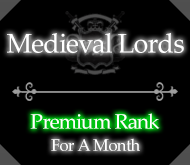 We are changing our voting plugin to something more modern, and for the time being you won't notice much of a difference, other than us having a new supreme reward tier, which is the only tier that gives vote keys. All in all, the rewards you get shouldn't change much in the long run. However, we have more plans for this voting plugin on the horizon, we just haven't gotten around to it just yet. The structure is there, we just need to get to it on our to-do list! Yes, enough of you have asked about it when Lucius was first released. After a bit of development, the first iteration of boss queues will be releasing tentatively along with everything else. In order to join a queue, you will have to right click the armored pig zombie in the boss room. You can see who else is in the queue because they'll be glowing. When the start sign is pressed, only those who are glowing will be teleported into the boss room. Of course, it's first come first serve, and it will not allow more people to join if the queue limit is reached. I say this is a tentative release mostly because this will have minimum testing. I will be on for most of the day, prepared to revert us back to the old (but functional) system if anything goes wrong. Be patient with us for this one! The technology is finally here! We will now be able to give the boss drop to ALL players who participated in battle, even if they have died. This will mostly help new players who struggle with their first few bosses. This also applies to boss chests, but in a different way: you must have deal a significant amount of damage to the boss in order to have a chance to receive the chest. Don't fret about the numbers, if you're hitting the boss and participating in the battle, chances are you'll be just fine. 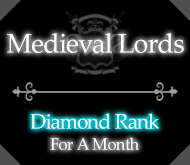 If you're an alternate account afk for grinding or an underleveled newbie, however, you may not have as much luck. We will be releasing the link to our wiki on this day as well, but I only have low-moderate hopes for this. We will see if the community contributes to the wiki, and depending on what happens, we may just file this as a failed project. But if people enjoy and find the wiki useful, we will most definitely keep it and expand on it for all to have full knowledge of the MLMC universe! Remember what I said about Boss Chests having an unreleased portion? Boss Chests in the near future will contain gear specific to the boss. This gear will be just about as powerful as regular gear, but will also have special unique effects (class-specific) for each gear piece. For example, Lucius's shield grants you one second of invulnerability after casting swordsman's bulwark. For non-swordsmen, it's just a shield with decent stats. But for the swordsman, it gives you that little bit of extra power. Each boss will have around 1-3 gear pieces to collect, and bosses may have gear pieces for different classes, not necessarily all just for the same class. Ever shot an arrow at a boss, only to have it deflected harmlessly off the boss because your group's swordsman was hammering away at it? A method has been developed to remove the time a boss becomes invincible after being hit. This means that even if multiple people are hitting away at a boss, you'll be able to land your hit for sure. This has wider implications, as for one, bosses must have more health in order to make up for the extra damage they'll be taking. For another, bosses may need longer skill cancel bars, as it should be child's play to hit Bandit King 6 times when he has no invincibility frames. These two implications are the reason we'd prefer to take our time with this release and figure out what works best. But when it comes, you can expect a smoother bossing experience. It's been a long time since our bosses have been revisited, and they have hardly withstood the test of time. Lucius, our most recent boss, shows us just how much we've raised the bar for clarity and gameplay. As a result, we will soon be taking a look at both the Bandit King and Hammer & Anvil to give them a bit more clarity and interest. Nothing big. Whew, that's a long list. But with any big update comes a big risk for bugs! Please do report any bugs you find, and do not abuse them! Consider this your only warning, abusers of bugs will be punished. On behalf of MLMC, we thank everyone here who has supported us and continues to support us! These donations help the server maintain its presence in the Minecraft community, as well as covers the costs to maintain this community's expenses, including the hosting costs for our server and website, advertisement campaigns, and dev. work.